Ever left a stag do and felt a little worse for wear the next morning? Well you’re not the first and you won’t be the last! So we have come up with the top 5 drinks that will have you feeling right as rain and ready for round two of the stag do party weekend. Scientists have done their research and come to the conclusion that the symptoms of the hangover are not actually caused by the alcohol itself but more likely from the process of the body trying to break down the alcohol. Caffeine can offset some of the harmful effects of alcohol. It can be found to relieve headaches and migraines which are associated with a hangover. Although if you are going to use coffee as your pick me up then we suggest having some water on standby as research has suggested that coffee can dehydrate, and lets face it, that’s the last thing we want when we are hungover. After a heavy night of drinking alcohol your body is trying to process the drink and can find it difficult to maintain blood sugar levels. Studies have shown that tomato juice can help digest alcohol and provide nutrients to the body. Glucose is the main source of energy for a body and when our body lacks this it can cause tiredness. By having a glass of tomato juice you can increase your blood sugar levels and this will boost your mood and energy so you can continue with your day as normal. People swear by coconut water to cure a hangover. It’s a really good option for someone who feels like they cannot stomach food because a bottle of this has more potassium in it than a banana! It’s also really refreshing and a nice healthy option packed with sodium, potassium and magnesium which helps to regulate blood sugar levels. It’s another option for those of you who have a hard time drinking water with a hangover.. and did I mention it tastes divine! 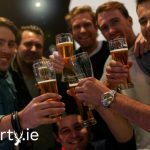 Your liver works very hard to filter the alcohol from your body, especially after the amount of drink consumed at a stag. By squeezing a lemon into a glass of water you are helping to detox your body and aid liver function. Lemons contain vitamin c, potassium, magnesium and copper which are all essential nutrients for the body that will help your hangover in a natural way. Last but not least is Sprite! There’s nothing more satisfying than the cold refreshing sensation of a fizzy drink sliding down your throat when you wake up with a hangover and a very dry mouth. And now there’s science behind it that tells us that this is acceptable. Yay! no more guilt about having a fizzy drink after a night out. The Lemon and Lime Sprite drink has the ability to break down acetaldehyde which is responsible for the awful feelings that come with a hangover. Acetaldehyde turns into something called acetate and when this occurs you start to feel much better and the hangover symptoms lift. 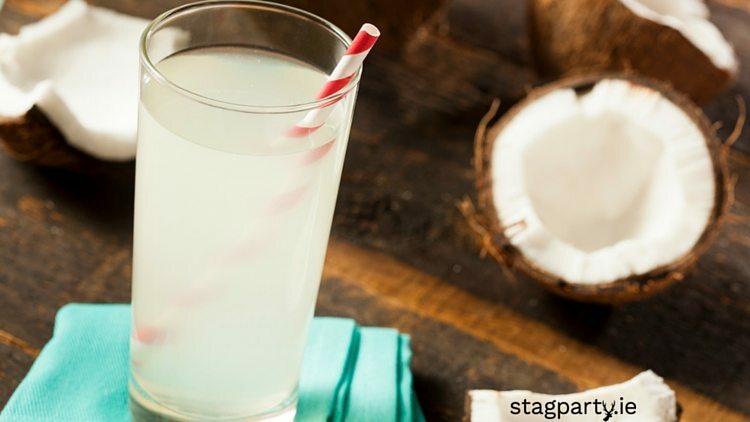 So the next time you are at a stag do and you aren’t feeling the best the next morning you can count on these drinks to help alleviate the symptoms of a hangover.